Home Talking points Benegerachin Lay-Discussion አዲስ አበባ ከሌሎች ክልሎች እኩል ሉዓላዊ ናት? Can he(Tsegaye) write a reply to Desta Andargie article (The Addis Ababa Master Plan is Constitutional)? 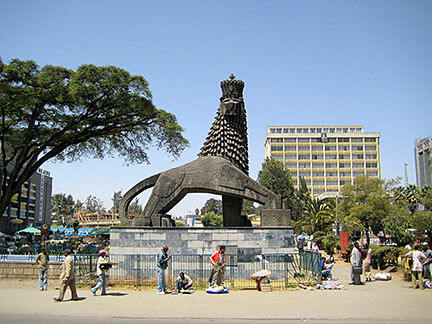 It is clear that Desta debunked all the arguments of Tsegaye(Why Resist the Addis Abeba Master Plan?). There are a lot of fallacies regarding the argument of Tsegay. 1) Tsegaye here and there use the word (natural right) Tefetrwoawee mebt. This expression is his own or others’ who support his view. There is nothing natural about biher, identity or a population. 2) Tsegaye’s concept of sovereignty is also problematic. I understand he studied law. But his conception of sovereignty is incomplete. 3) Tsegay claims that addis abeba has no identity. But the constitution divides ethiopian people into three groups “nation, nationality and people” except for the size the common characteristics of these three categories are the same.